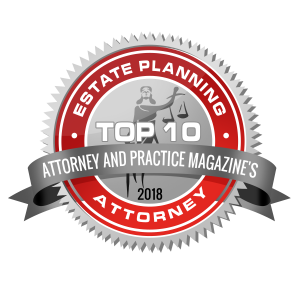 At the Piatchek Law Firm, our attorneys can help you if you are looking for advice on probate, including how to handle real estate that is still titled into a deceased person’s name after their own death. Typically, when someone dies and leaves property titled in their name, the property becomes “stuck” in the name of the deceased individual. The property will almost always have to go through probate to get “unstuck,” i.e., out of the deceased person’s name and transferred into the names of the living heirs. Our attorneys see firsthand that property that is still titled into the name of a deceased owner almost always has to go through probate. However, there is a limited exception (which involves real estate only) that may permit the heirs to keep the real estate out of probate. This exception can be called an affidavit of heirship, deed by heirs, or deed of heirship. If the deceased has been dead for more than one year, and all the legal heirs are in agreement, this method may work for your family. In addition, there are several other contingencies that must occur to take advantage of this exception. This method can be used for real estate only. The real estate must be titled into the name of the deceased individual. The deceased person must have been dead for more than one year. No will can have been admitted to probate within one year. No probate estate can have been opened, commenced, or administered. All of the legal heirs (as specified under Missouri law) and each of the heirs’ spouses must be in agreement and willing to cooperate. If you qualify for this exception to the general probate rules, one of our attorneys can prepare the necessary paperwork. It will need to be signed by all parties and their spouses (if married), and the papers will need to be filed in the county recorder’s office where the property is located. Once this is completed, the real estate will have been officially transferred to the heirs, probate-free. The heirs or grantees can do what they wish with the property. Does your situation fit the above circumstances? Do you have questions about property titled into a deceased individual’s name? Do you want to learn how to avoid probate? Do you have any other questions about the probate process? If so, please contact the Piatchek Law Firm at any time. You can talk directly with our attorneys, who should be able to answer your questions and guide you through this sometimes difficult undertaking. Remember that the process does not always have to be complicated or frustrating, especially if you have knowledgeable counsel at your side. We want to resolve your probate and real estate issues as quickly and efficiently as possible, and we know you want the same. We will do our best to assist you in accomplishing this goal.